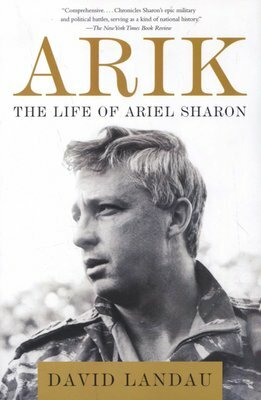 From the former editor in chief of "Haaretz", comes the first in-depth, comprehensive biography of Ariel Sharon, the most dramatic and imposing Israeli political and military leader of the last forty years. 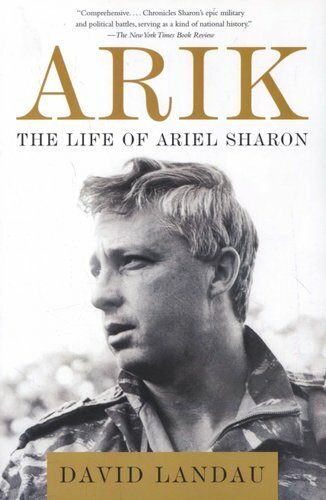 The life of Ariel Sharon spans much of modern Israel's history. A commander in the Israeli Army from its inception in 1948, Sharon participated in the 1948 War of Independence, played decisive roles in the 1956 Suez War and the Six-Day War of 1967, and is credited here with the shift in the outcome of the Yom Kippur War of 1973. After leaving the professional army, Sharon became a political leader and served in numerous governments, most prominently as the defense minister during the 1982 Lebanon War in which he bore "personal responsibility," according to the state's commission of inquiry, for massacres of Palestinian civilians by Lebanese militia. As a general and as a politician, he championed the construction of Israeli settlements in the occupied West Bank and Gaza. But as prime minister, he performed a dramatic reversal: orchestrating Israel's unilateral disengagement from the Gaza Strip. 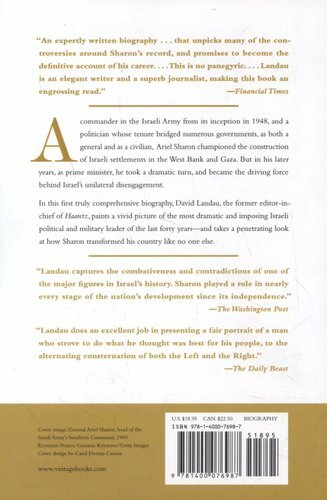 Landau brilliantly chronicles Sharon's surprising about-face, combining the immediacy of firsthand reportage with the analysis and independent insight of a historian's perspective. Sharon suffered a stroke in January 2006 and remains in a persistent vegetative state. This biography recounts the life of the man who is considered by many to be Israel's greatest military leader and political statesman, illustrating how Sharon's leadership transformed Israel, and how his views were shaped by the changing nature of Israeli society.